After being plagued with technical issues galore, ESO proudly returns to the air with Mike, Bobby and Mike in a hodgepodge episode full of talk, silliness, and some of our favorite songs used in the past on the podcast. To listen, click the link above, or download this podcast from iTunes. Next week, Earth Station One abandons ship! If you were trapped in an escape pod with only 5 entertainment items what would you take with you if you had to leave the station in a hurry? With all the technical difficulties we’ve been having at the ol’ Earth Station One station, it seemed like a timely topic. ESO Facebook Group, email us at esopodcast@gmail.com, or call us at 404-963-9057 with your list. We might just read yours on the show! This week, ESO breaks through dimensional barriers to team up with other podcasters to talk about our favorite crossovers in film, TV, comics, and literature. Worlds will live. Worlds will die. Podcasters will talk about stuff. Next week, Earth Station One joins the dark side. Bring on the bad guys! Tell us your favorite villains at www.esopodcast.com. Happy New Year! 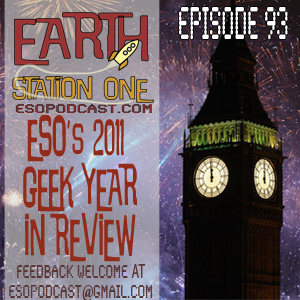 Welcome to the first ESO episode of 2012! 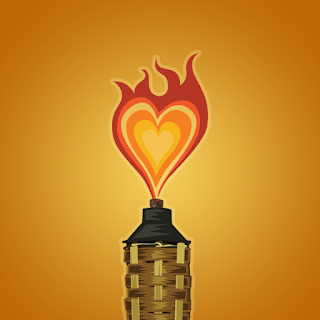 Join Mike, Bobby and me as we chat about the year that was and the year to come. 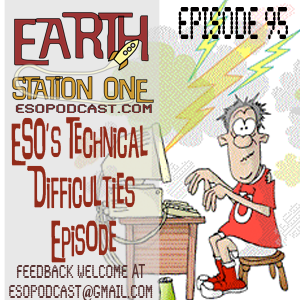 Earth Station One Episode 93: 2011 Is Over! Are We Ready for 2012? 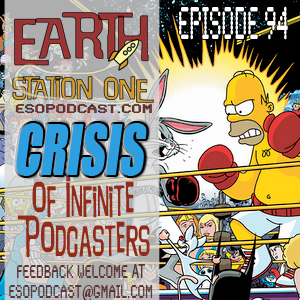 Next week, Earth Station One breaks through dimensional barriers to team up with other podcasters for an adventure we just had to call Crossovers - Crisis of Infinite Podcasters. What are some of your favorite company and character crossovers? Let us know at www.esopodcast.com.